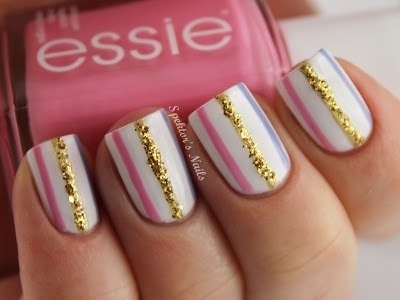 Don’t you love when you come across a nail tutorial that looks gorgeous on but is also SO easy to replicate? Me too! 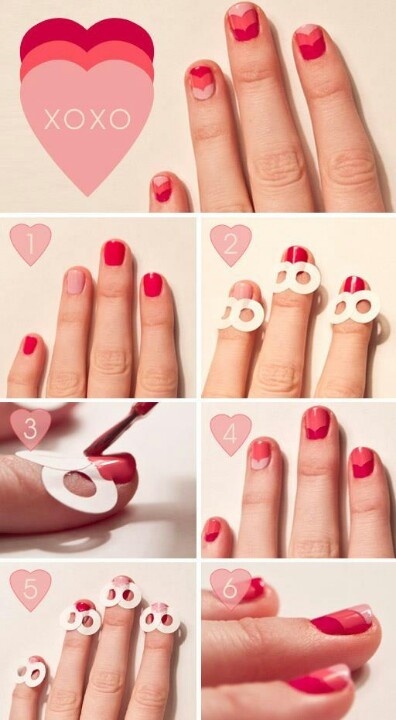 Well, this just happens to be one of those nail tutorials! Go stock up on some reinforcements (the kind that you use when your notepaper holes rip) and stack them up like you see in the picture. Paint them whatever color you like and make sure to let them dry before setting the next set of reinforcements on your nail.